Horses were one of the later animals domesticated (around 4,000 to 6,000 years ago) as compared to goats, pigs and cattle (about 9,000 years), sheep and reindeer (11,000 years), and the dog (12,000 years ago). 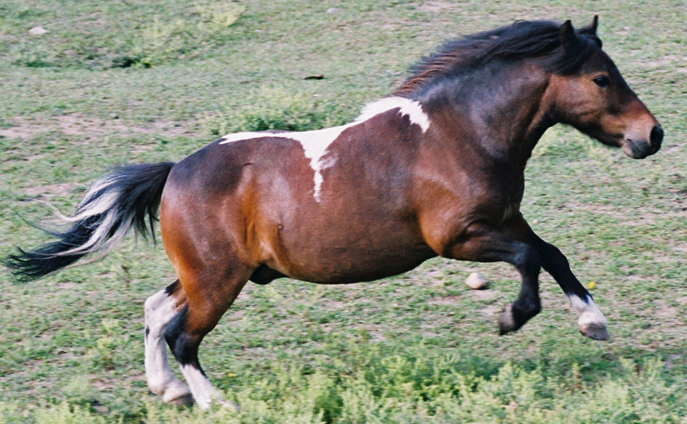 The first horses were kept as a food source. Then, until the 1950's, they were kept primarily for transportation and agriculture. Now, horses are mainly kept for sport and recreation. Horses live in herds. The herd works together to watch for danger and defend against predators. Horses spend their day grazing on grass or hay. Their stomachs are approximately half-full all the time so they are never at risk of having to run with a full belly. They form close bonds with other horses through mutual grooming. Because of this natural instinct a bond is formed and strengthened when the rider grooms his/her horse.